Like I said before I found this book hard to put down. Ozzy starts from his early life and tell us the story through till a little after The Osbourne’s TV show. It a roller coaster ride of laughter and sadness in what seems to be a very honest and down to earth telling of his “Crazy Train” of life. You really get his feelings about everything that has made him the person who makes us laugh. It is worth reading even if your not big into Ozzy’s music. The insights into the music industry, traveling and other aspects of being a musician make this a very interesting look at how it all works and sometimes doesn’t work. 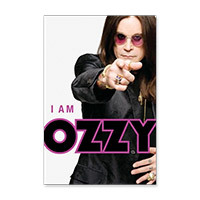 Excellent Read, good luck on the new album Ozzy and Black Sabbath.